Natropharmacosiderite: Mineral information, data and localities. Light green, dull orange; pale green in transmitted light. 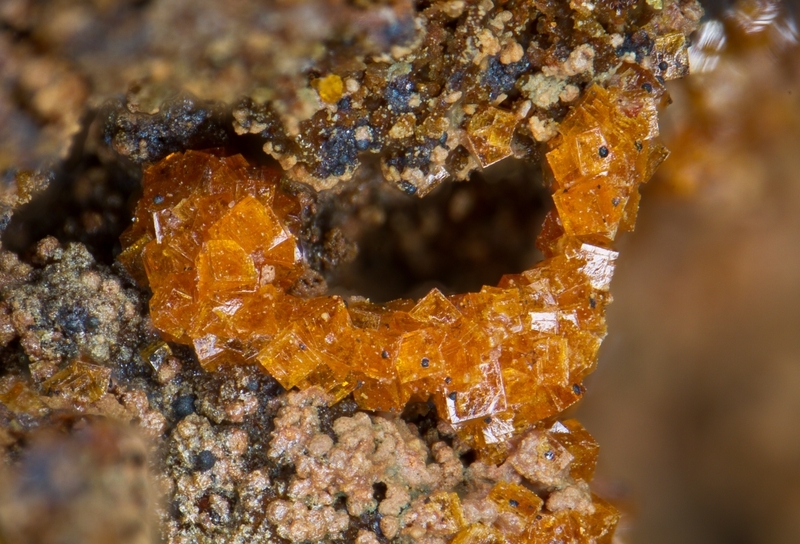 The name reflects its dominant sodium content and relationship to Pharmacosiderite. Initially found on a single museum specimen, presumably a weathering product of arsenopyrite. Calculated density value based on 7H2O. Crystals cubic, occur in aggregates. U.S. National Museum of Natural History, Washington, D.C., USA: #146392. Natropharmacoalumite 3 photos of Natropharmacosiderite associated with Natropharmacoalumite on mindat.org. Goethite 2 photos of Natropharmacosiderite associated with Goethite on mindat.org. Arthurite 1 photo of Natropharmacosiderite associated with Arthurite on mindat.org. Arseniosiderite 1 photo of Natropharmacosiderite associated with Arseniosiderite on mindat.org. 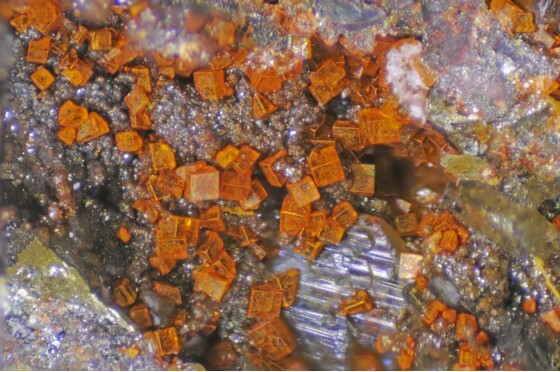 Arsenogoyazite 1 photo of Natropharmacosiderite associated with Arsenogoyazite on mindat.org. Conichalcite 1 photo of Natropharmacosiderite associated with Conichalcite on mindat.org. Yukonite 1 photo of Natropharmacosiderite associated with Yukonite on mindat.org. American Mineralogist (1986): 71: 230 (abstract). Kokinos, M. and W.S. Wise (1993) The Gold Hill mine, Tooele County, Utah. 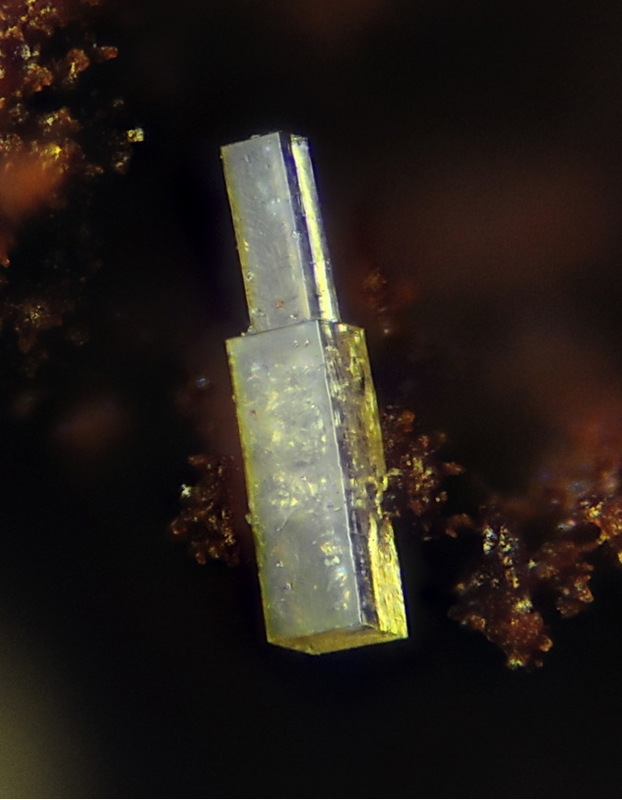 Mineralogical Record, 24, 11–22. Weiß, S., Merry, M. & Ansermet, S. (2017): Neufunde aus Cornwall: Cannonit, Arthurit, Auriacusit. Lapis, 42 (1), 20-23; 62 (in German).